And if there's love, you can do without happiness too. Even with sorrow, life is sweet. 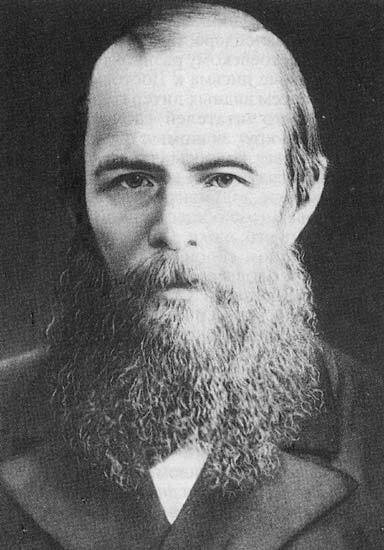 Found below in my comments to this post are more quotes by Fyodor Dostoyevsky. The fact is, gentlemen, it seems there must really exist something that is dearer to almost every man than his greatest advantages, or (not to be illogical) there is a most advantageous advantage (the very one omitted of which we spoke just now) which is more important and more advantageous than all other advantages, for the sake of which a man if necessary is ready to act in opposition to all laws; that is, in opposition to reason, honour, peace, prosperity -- in fact, in opposition to all those excellent and useful things if only he can attain that fundamental, most advantageous advantage which is dearer to him than all. One's own free unfettered choice, one's own caprice, however wild it may be, one's own fancy worked up at times to frenzy -- is that very "most advantageous advantage" which we have overlooked, which comes under no classification and against which all systems and theories are continually being shattered to atoms. And how do these wiseacres know that man wants a normal, a virtuous choice? What has made them conceive that man must want a rationally advantageous choice? What man wants is simply independent choice, whatever that independence may cost and wherever it may lead. And choice, of course, the devil only knows what choice. Of course, this very stupid thing, this caprice of ours, may be in reality, gentlemen, more advantageous for us than anything else on earth, especially in certain cases… for in any circumstances it preserves for us what is most precious and most important -- that is, our personality, our individuality. Some, you see, maintain that this really is the most precious thing for mankind; choice can, of course, if it chooses, be in agreement with reason… It is profitable and sometimes even praiseworthy. But very often, and even most often, choice is utterly and stubbornly opposed to reason ... and ... and ... do you know that that, too, is profitable, sometimes even praiseworthy? I believe in it, I answer for it, for the whole work of man really seems to consist in nothing but proving to himself every minute that he is a man and not a piano-key! …And this being so, can one help being tempted to rejoice that it has not yet come off, and that desire still depends on something we don't know?